Luke Reader is a lecturer in the SAGES writing program at Case Western Reserve University. He recently published articles on the Labour Party and internationalism and British Jewish history and is currently working on a book about the lessons that can be drawn about democracy and populism from 1930s Britain. Luke Reader received a Ph.D. in History from UC Irvine. The holiday season in Britain is traditionally one of pantomime. In theatres across the country washed-up television actors, alleged comedians, and middle of the road pop stars whose salad days long ago wilted offer bawdy, farcical takes on fairy tales like Jack and the Beanstalk, Cinderella, or The Ugly Duckling. But this Brexmas, the farce at Westminster gets top billing. This past week’s confidence vote on May’s leadership by Conservative MPs merely prolongs the befuddlement and misery. May’s 200-117 victory was neither a significant endorsement of her leadership nor a fatal blow to her premiership. May limps on, as does the four-decades long civil war over the European Union in the Conservative Party. The reverberations of Brexit will be long lasting. The economic folly is becoming clearer: by 2035, British GDP will be between 2.5% and 9.3% smaller than it would have been if Britain remained in the EU. For perspective, GDP in 2017 was just over £2tn or between $2.5 and $2.6tn. But Brexit may have long-term political consequences as well. A recent study for NatCen Social Research by John Curtice, a political scientist at Strathclyde University, shows that fewer people are distinguishing themselves through party affiliation. Instead, the firmest indicator of political identity is whether one supports leaving or remaining in the EU. Seventy-seven percent of survey respondents possess a strong or fairly strong Brexit identity, but only 37% similarly identify with a political party. This identification is shaping how people view the consequences of Brexit itself. For instance, 71% of those who identify as very strong leavers believe that Brexit will have only minimal effect on the economy and may well leave Britain better off. By contrast, 89% of remainers worry that the economic damage wrought by Brexit will prove catastrophic. Sweeping majorities of remainers think Britain should allow for free movement of EU citizens in exchange for British firms selling goods and services in the European Union. A broad majority of leavers want the opposite. Indeed, the only point of agreement between the two camps is that the British government has badly mishandled negotiations. So why do these findings matter? They matter because the divisions in the nation are becoming more and more apparent in parliament. The Conservative coalition is fracturing. A majority of backbenchers – those who do not hold a ministerial position and so are not required to vote with the government – expressed no confidence in May. Most did so because they believe her commitment to Brexit is not firm enough. What they want is unclear. May has hardened her position considerably, warning in recent weeks that if her deal is not accepted Britain might not leave the EU. Labour is similarly divided. Most Labour MPs would prefer to remain in the European Union, but the leader, Jeremy Corbyn, has other ideas. Corbyn represents a far-left faction of the party who believe that the EU serves only the interests of bankers, business, and bureaucrats. A reluctant campaigner for remain in 2016, Corbyn has also stated – against evidence to the contrary– that EU rules prevent Labour from planned investment in industry, the railways, and public utilities. Corbyn argues that Labour should respect the will of the voters. His intent is to negotiate a better Brexit, even if the contours of his cunning plan remain a secret. Party members and voters are uneasy, however; a recent poll suggested 86% want a second referendum. The result is that the Conservatives and Labour both reflect the leave side of the argument. A commitment to Brexit remains their default position. 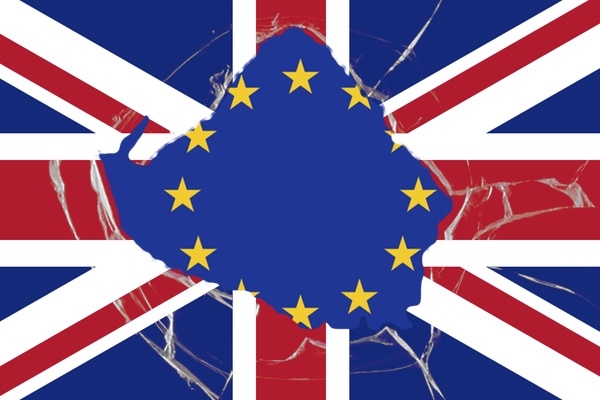 But with the deal May recently negotiated with the EU in limbo, the danger that Britain will crash out of the EU on March 29 of next year is alive. Remainers in parliament are much more disparate, comprising of a smattering of backbench Conservative MPs and most of the Labour, Liberal Democrat, and Scottish National Party (SNP) delegations. Impetus for this group has come from grassroots movements like the People’s Vote campaign, who have, over the past year, gradually increased pressure on remain supporting MPs. The result has been a constitutional standoff. The government cannot bring legislation forward in parliament, but the support of Corbyn for Brexit makes it hard to force the government to change course. A Labour led vote of no-confidence could offer a solution. The problem is that wavering Conservatives will be reluctant to bring down their own government. Even if there were an election, opinion polls suggest another hung parliament. Labour might end up the largest party, but it would have to rely on the SNP and the Liberal Democrats for support. No doubt their price would be close ties with the EU, a so-called soft Brexit. Would Corbyn accept this? Another option is the growing demand for a People’s Vote: a second referendum. Voter remorse and demographic churn means support for leave is declining. Any referendum would likely have to include the option of staying in the EU or leaving without any deal. This would be clarifying and might divide the leave vote, giving remainers a path to victory. A growing consensus in parliament and in the country is beginning to swing behind this option. If parliament cannot find a solution, it may make sense to go to the voters. But will voters make a sensible decision? British historical memory is largely one of collective endeavor: religion, war, empire, industrialization and trade, demands for greater political representation, and the construction of a universal welfare state. The emerging trends evident in the British body politic erase this perspective. Another referendum is necessary, but if it consolidates emerging political identities it also runs the risk of a “stab in the back” myth emerging.